Agriculture is major part of the Australian economy. Whether it's flour, grains, fruit, vegetables, dairy or meat products, the sector delivers vast quantities of edible food to meet both domestic and international demand. According to IBISWorld, the Australian agriculture, forestry and fishing industry is worth around $89 billion per annum and supports over 158,000 businesses. It's a competitive marketplace and buyers certainly have plenty of choice when it comes to their suppliers. 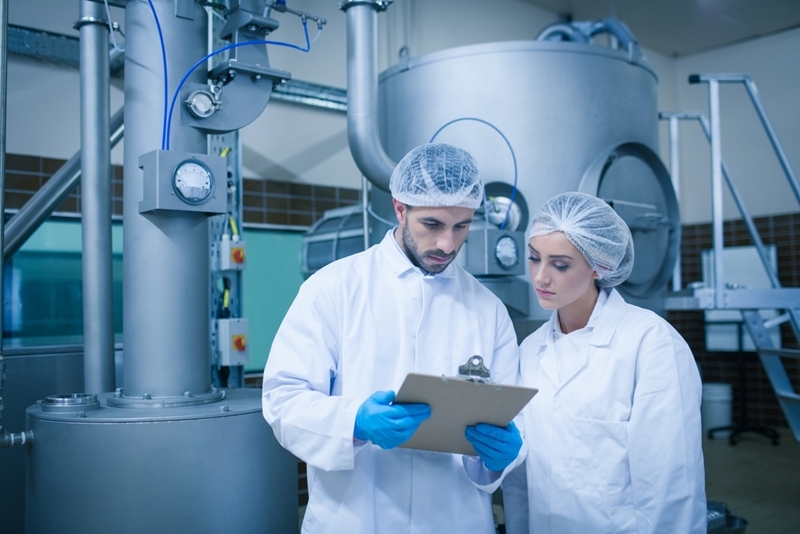 Food processing facilities rely on a range of measurement devices. Delivering accurately measured products to your customers is key to maintaining their confidence and trust. There is no shortage of stories about food manufacturers receiving contaminated product or not getting the amount they paid for. In many cases, this not intentional but rather a consequence of faulty instruments at the processing facility. Delivering accurately measured products to your customers is key. Belt weigher instruments measure the exact amount of product processed in a shift. Placed alongside rollers and support structures, these devices provide readings that are subsequently used to invoice customers. These instruments allow workers to control the rate and volume of product entering a specific piece of equipment in the facility. Weigh feeders are used to mix different ingredients together to create finished products such as biscuits or chocolate. Using laser, radar, gravemetric or ultrasonic technology, level measurement devices help workers calculate the capacity of silos prior to filling. They also negate the need for workers to climb silo bins and manually estimate levels, thereby reducing the risk of workplace injuries. A key component of quality assurance, tramp metal detectors ensure that goods are safe for people to consume by detecting metal, glass or other foreign objects in the product prior to its delivery to the market. In Australia, food processing facilities are legally required to install metal detectors. As well as helping operators avoid public relations crises and costly litigation, they also protect equipment from damage. Given the diversity of devices upon which agricultural operations rely, many facilities choose to partner with a trusted measurements solutions provider such as SRO Technology to ensure their equipment is reliable and accurate. SRO specalises in the assessment of instrumentation devices in the agricultural sector. SRO specalises in the assessment of instrumentation devices in the agricultural sector. As part of our service, our technicians visit facilities and conduct comprehensive checks of specific measuring equipment to determine if there are any discrepancies limiting their performance. We often find that belt weighers and level measurement instruments, in particular, need recalibrating. The way that devices like the ones listed above are being used can vary from site to site. At flour mills, for example, belt scales would ideally be installed at the end of the process, on loading equipment, so accountants can establish the exact amount of product being delivered to customers. SRO has provided services to countless food processing companies across Australia. For over 25 years, we have been designing, commissioning, installing and repairing the instrumentation used to process edible products for supply. Our team of highly experienced technicians will come up with solutions to ensure your facility is performing at optimal levels in terms of product measurement accuracy. No job is too small – we have assisted on sites of all sizes and scope. Please get in touch with SRO technology to find out more about how we can help you.